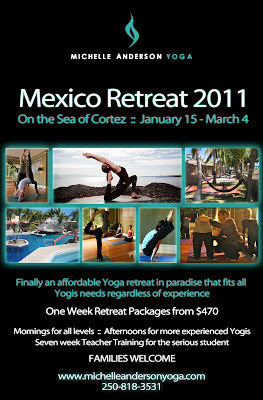 Mexico 2011 | Michelle Yoga - Victoria, BC. I couldn't help but get excited about getting down to Baja while it was snowing last night! Can't wait to see you down there. This entry was posted in Mexico Retreat, Yoga Retreat, Yoga teacher training, Yoga vacation. by Michelle Rubin. Bookmark the permalink.